Please note that this feature should only be enabled if your computer is connected to home or safe network, so that to ease file or data sharing. Please don’t enable it if it’s connected to public network unless it's really needed. By default this network discovery feature is disabled if network location type of your computer is set as Public, but it will be in enabled mode if network location type of your computer is set as private. If you compare to network discovery feature in Windows 7 or Vista, one main difference about this network discovery feature in Windows 8 is that you could not find the network map that shows you how those computers, switch, router or other network devices are connected on the network anymore. I feel a bit disappointed about this change as it’s pretty useful on my home network. 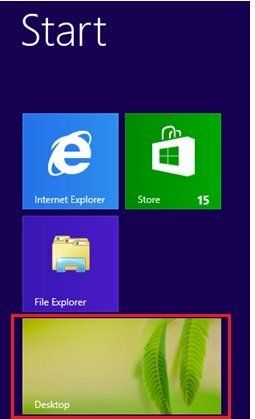 1) As a start, click Desktop tile on Start screen in order to go to Windows desktop environment that you are familiar with. 2) You can then right click the network icon on lower right corner of task bar area, after that click on Open Network and Sharing Center. 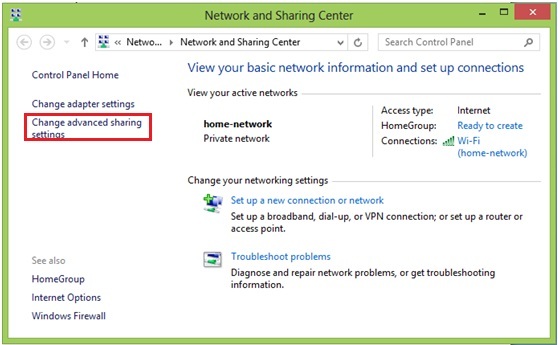 3) Network and Sharing Center will appear, proceed to click Change advanced sharing settings. 4) Ok, now you can go to your network location type (private, guest or public), after that click on the option to turn on network discovery. When network discovery in on, this computer can see other network computers and devices and is visible to other network computers. Finally click Save changes. 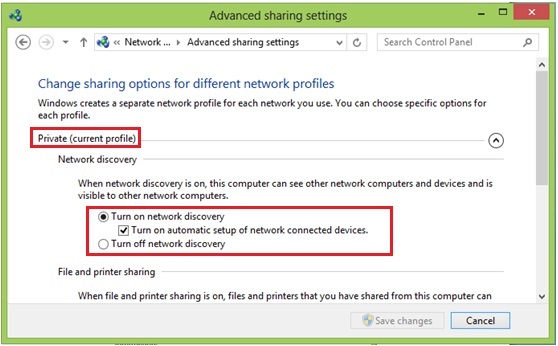 Return to top of "Windows 8 Network Discovery How to"! !